Whether the cause is physical or behavioral, replenish your well of patience and take these steps to alleviate the problem. More than just a guilty look, there could be plenty of things going on when your adult dog starts having accidents in the house. Schedule a veterinary exam. No, this is not a paid advertisement for the American Veterinary Medical Association. Dogs can’t exactly tell you, “My tummy hurts,” or “You were gone too long and I couldn’t hold it.” A thorough veterinary exam can identify conditions that cause dogs to behave differently, including blockages, intestinal issues or even tumors. Many dogs reach their golden years at age 7 or 8, Collins says. Around that time, you can expect to see a reduction in energy level, confusion and — occasionally — house-training issues. Determine what triggered the change. Behavior issues don’t occur in a vacuum. Seemingly small changes, such as new food, kids returning to school or a different feeding time can make a huge difference to the dog. Take a moment to figure out when the problem first reared its ugly head. Keep emotions in check. Nothing ruins a good night’s sleep like being awakened by the pungent aroma of dog poop. Who wouldn’t get angry when that happens? Getting angry only reinforces bad behavior, adding fuel to the fire. Instead, take the dog for a long walk to stimulate bowel movements and avoid rushing them – even if it’s 1 a.m. and you are outside in your pajamas. Take your dog out more often, even if it means potty breaks in the middle of the night. Go back to basics. Accidents are common for geriatric dogs. To address the issue, implement Housebreaking 101. Start by monitoring the dog’s food and water intake, and use the crate during downtime. Consistency makes a big difference, so be sure to take the dog out at the same time each day, and designate a specific spot for potty breaks. Call for reinforcements. Take dogs out more frequently, and monitor crate time. 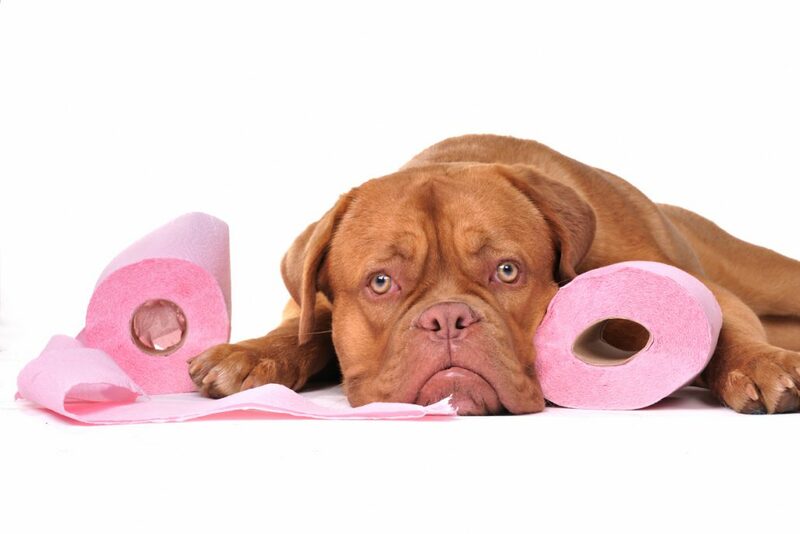 After 10 hours, it may be physically uncomfortable for older dogs to wait for potty breaks. It may be necessary to call for reinforcements, such as a friend, neighbor or professional pet sitter to check in on your pet during the day. Be sure to find out whether the sitter is bonded and insured, ask for references and make sure your pet is comfortable around the individual before turning over a set of house keys. Tags: Why is my adult dog suddenly going to the bathroom in the house? http://hotdogonaleash.com/wp-content/uploads/2018/09/Why-is-my-adult-dog-suddenly-going-to-the-bathroom-in-the-house.jpg 836 1254 bruce http://hotdogonaleash.com/wp-content/uploads/2017/10/hdoal-300x247.png bruce2018-09-14 17:12:202019-04-10 05:23:47Why is my adult dog suddenly going to the bathroom in the house?